How Long Does Klonopin Stay in Your System, Blood, and Urine? How Long Does Klonopin Stay in Your System and Urine? Klonopin has a long half-life, which varies between 18.7 and 60 hours. That means that it might take between 4.29 and 13.75 days for the drug to leave the system of the user. In other words, you might need up to two weeks to get clean from Klonopin. Can I test positive for Klonopin? Klonopin is a powerful benzo, and as such, it can be detected by various drug tests. Blood, swab and urine tests can detect the drug for up to 5-6 days, while hair tests have a longer window of detection, up to four months. Note that acidic environments can help you excrete the drug quicker. Klonopin or Clonazepam is a habit-forming and life-threatening benzo. Therefore, users should be aware of the duration and the elimination of the drug. Its half-life ranges between 18.7 and 60 hours. These figures suggest that it might take between 5 and 14 days for the drug to leave the system of the user. In other words, you might need up to two weeks to get clean from Klonopin. As we can see, nobody can predict how long Klonopin will stay in one’s body. Some users need only a few days to get clean, while others – a couple of weeks. That’s because each case is unique. However, many individual factors can affect the duration and the elimination of the drug. Note that patients with hepatic problems may need more time to clean their system from Klonopin. One of the important factors that affect Klonopin duration and elimination is the metabolic rate of the user. The drug undergoes hepatic metabolism. Note that less than 2% of Klonopin is excreted unchanged in urine. Last but not least, we should say that Klonopin binds to plasma proteins and fat stores, which leads to extensive distribution in your System. Although Klonopin is a potent benzo, testing for it is not common. However, various tests can detect the drug. Remember that although you need 5-7 days of consistent administration to reach some steady levels within your body, even small doses can lead to positive results. How Long Does Klonopin Stay In The Blood? Blood peak concentrations can occur as soon as one hour after intake. Therefore, the best time for a blood test is 1-2 hours after ingestion. However, blood tests can detect the drug as soon as few minutes after intake for up to few days. Note that as these tests have a short window of detection and are quite invasive, they are reserved mainly for hospitalized patients. How Long Does Klonopin Stay in Your Hair? Hair tests provide a long window of detection, up to four months. Thus, hair tests can reveal a lot about the history of abuse. We shouldn’t forget that the best time for a hair test is few days after ingestion as it takes some time for the metabolites to appear in hair segments. How Long Does Klonopin Stay in Your Saliva? Saliva tests are a great option in the case of intoxication. That being said, detecting Klonopin and its metabolites in oral fluids is more difficult compared to other tests. Swab test can detect the drug for 5-6 days after intake, with a cut-off level of 1 ng/ml. 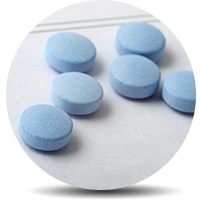 Urinalysis is the most preferred method for the detection of Klonopin and its metabolites. Urine tests have cut-off levels of 30 ng/ml and can detect the drug for up to 5 days after intake. Some studies claim that users may test positive for up to 30 days after their last dose. Note that some acidic foods can help you excrete the drug quicker. Still, the best way to test negative and stay safe is to say no to Klonopin abuse. Addiction Resource » Addictive Substances: The Anatomy of Drug Addiction » Klonopin Abuse, Addiction, and Treatment » How Long Does Klonopin Stay in Your System and Urine? You have completely misrepresented the facts behind your analysis. This is all based on a user only taking a single dose. Say if a person is on 1 mg twice daily for ninety days it would take 30+ days probably 45 days. If I only took .25 of Klonopin and got a drug screen 2 and a half days later am I ok? Also how long after taking 2 klonipins will you have a dirty urine? How long will one dose of clonipin 1mg stay in your system if you are required to do. Urine the next morning. I took .05 of clonazpeam and have a swab on monday today is tuesday wil i pass? Sounds as if you drink or eat acidic food you have a better chance of passing it somewhat quicker. I have no exact details on this but depends on consistent use and other factors. Years ago I was prescribed 1mg 3x daily for 2 yrs. I entered treatment for a drinking problem and was not allowed to take my medication plus they tested weekly. I tested positive for 14 days with no benzo and no sleep for longer. They thought I was sneaking in benzos and I wasn’t. On the third week I tested clean. I am a woman, was then a 29yr old with average weight. No health issues or bad liver. I took a valium a few weeks ago and had to take a test for work, it was out of my urine in 5 days because it didn’t show up and this test was a lab test that tested for everything individually and not a quick cup.